We’re officially in the week of love.  The week that sees the most love-centric day of the year – Valentine’s Day. And that means you might be looking forward to a romantic dinner meal, complete with all the bells and whistles you would expect. Everyone is doing their best to get ready for the occasion – but no one more so than the nation’s retailers. The country’s leading supermarkets have all come out with money-saving meals for you to take advantage of on the big day, with Tesco’s coming in at £20, Asda’s costing £15 and budget store Aldi starting their prices at only £6.77! And then the supermarkets took on everyone’s favourite weeknight takeaway with a Valentine’s twist on the humble pizza. While bargain store Lidl came up with a half & half option for couples who don’t quite agree on toppings, mainstream supermarket Asda focussed on the shape rather than the taste with their new heart-shaped pizza for those who really want to get in the mood. And now another supermarket is treating us all to a different heart-shaped delight for the big day, and it’s way higher on the fancy food scale than a deep-dish pizza. 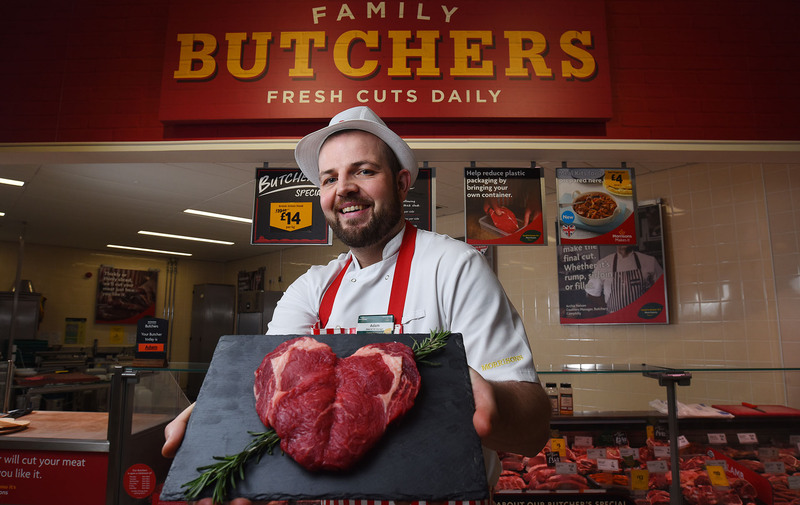 Leading grocer Morrisons is selling the UK’s first Sweetheart Steak for Valentine’s Day. 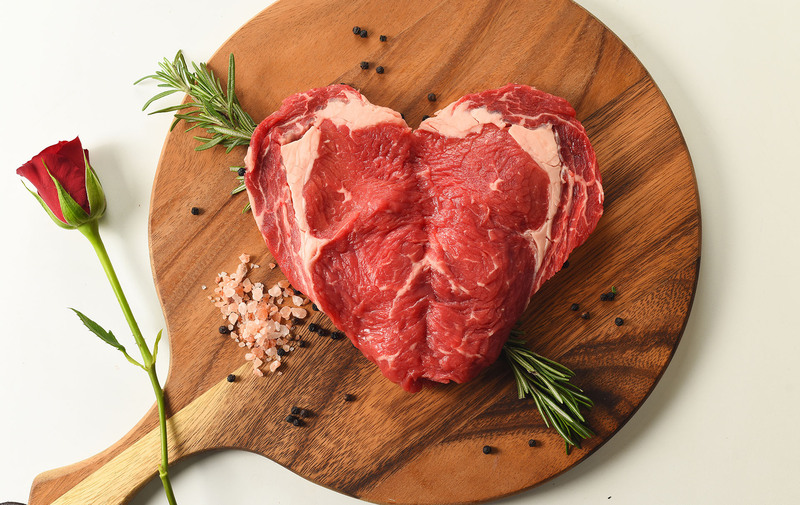 Created by the supermarket’s iconic Market Street butchers, the rib eye steak will be shaped like a heart for a nod to the romantic day and will be big enough for a couple to split the heart in two and each dig into a half. It uses traditional rib eye meat, which naturally has a high amount of marbling, to give it a rich flavour and tender texture. ‘This is the perfect Valentine’s Day food for customers that are looking to impress,’ said Paul Robinson, butchery specialist at Morrisons. The steak is available at Morrisons meat counters across the country for £20 per kg. But you’ll have to be quick if you want a bite, as it’s only on sale until Saturday 18th.